Let the healing begin, sort of. Dissolving stitches almost gone. Staples come out Tuesday. I know it’s probably been hard to piece together where things are with us so here is the abridged version. First surgery was for the EEG implant and we got the data we needed. Second and third surgeries were emergencies to stop unexpected brain bleeds and “evacuate” the building blood clots. Second clot caused some scarring that means it is damaged tissue now. But doctors don’t care because it’s in the section they plan to remove. All this means is she would have lost the function of part of her brain anyway. Which leads us to the fourth and final (knock on wood) craniotomy. A left temporal lobotomy. May 27 we are scheduled to have the whole lobe removed to be sure there is no chance for remaining tissue to cause seizures. This is a good thing. Reese is very young and her amazing brain will remap almost everything that would have been in the left temporal lobe. It may just take awhile. It of course doesn’t come without concerns and risks of its own. Clearly she has a bleeding problem. Maybe it’s caused by long-term steroid use (don’t do ‘roids kids or prof athletes). Maybe it’s a condition she just had naturally. Either way, we are now prepared with vitamins and blood plasma for the surgery. Second concern is seizures — before and after. First we have to make it to May 27 without a seizure. Is it terrible if she has one? No. at first and have to wait out a good three months before we can see how it’s going, still taking our seizure meds. And finally, somewhere after a year we would start weaning off all meds to see if she is really in the clear. It all means this beautiful head, with it’s slowly healing scar, will be cut again, (same place), and then first of June we will come home and start the healing process for real. 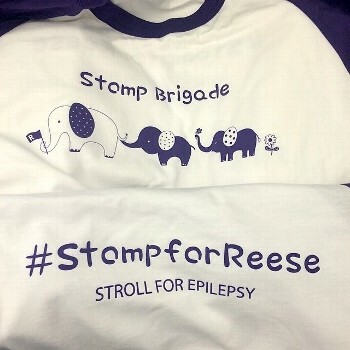 Thanks for all your patience, support, words of encouragement and high fives for Reese. She truly is a warrior and we are so proud of her, and her brave big brother.